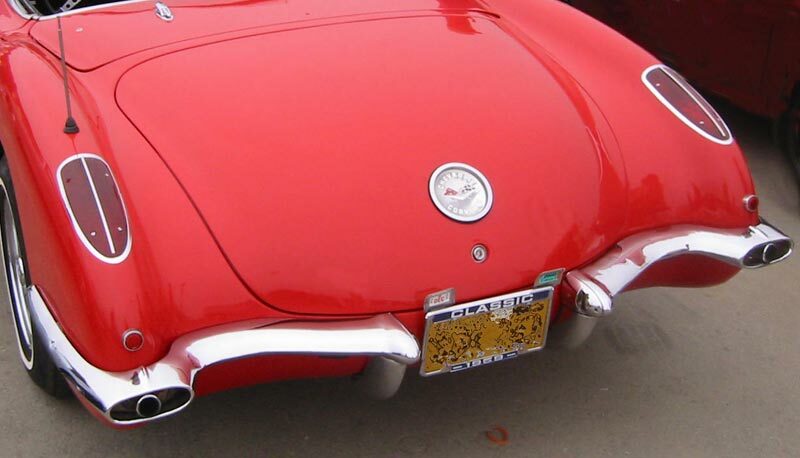 There were few changes for the 1959 model year Corvette; perhaps GM figured people still needed time to absorb the 1958 styling. 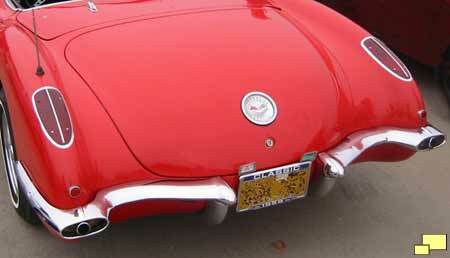 The styling was toned down a notch as the faux louvers disappeared from the hood (above) and (below) the trunk "spears" were gone. Years later the change is considered to be the correct move as 1959 / 1960 Corvettes genrally get higher prices than the 1958 model. 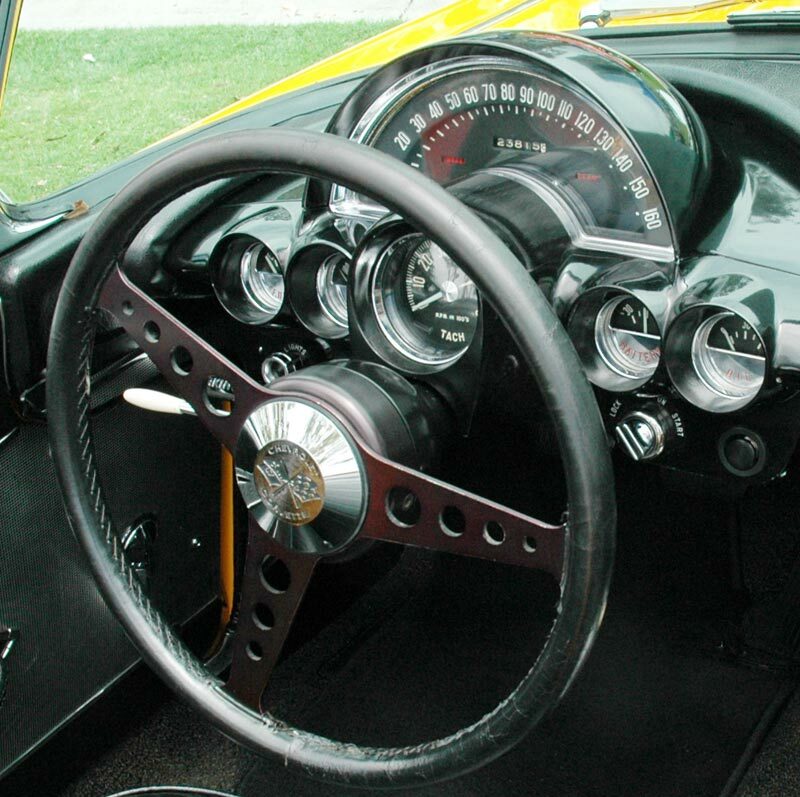 There were minor revisions to the instrument panel in 1959. 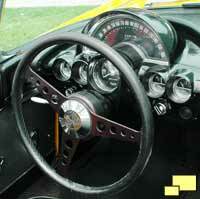 The glass in front of the gauges was convex, which reduced the glare problem with the flat glass of the previous year. All tachometers offered redline and safe limit indications. Above: Brochure illustration shows the dashboard which was completely revised in 1958. 1959 additions included a storage bin below the passenger grab handle. A "Corvette" script was added to the anodized aluminum area behind the grab bar. Notes: 1959 was the only year a Turquoise soft top was available. Colors of exported Corvettes are unknown.